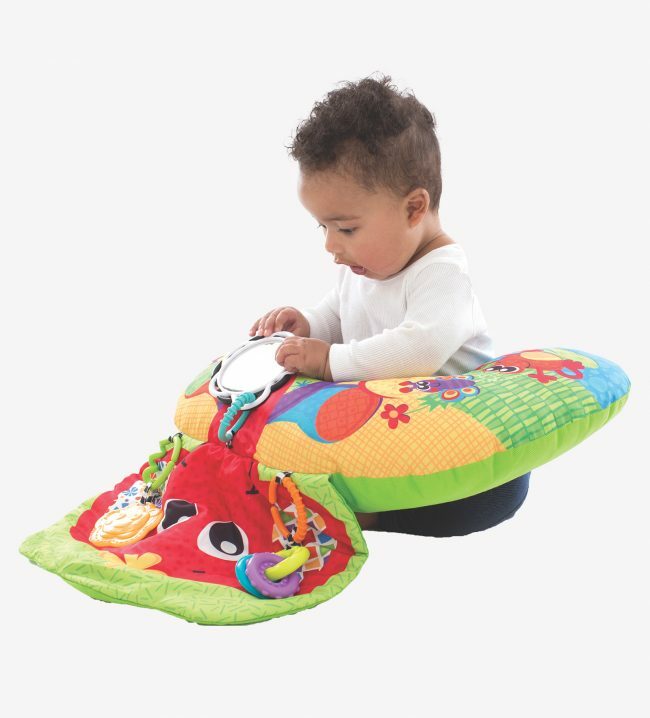 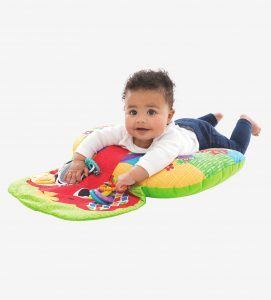 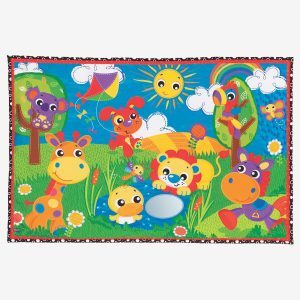 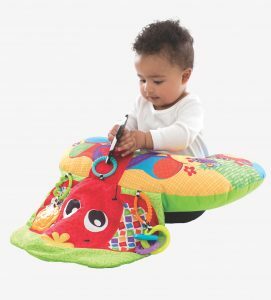 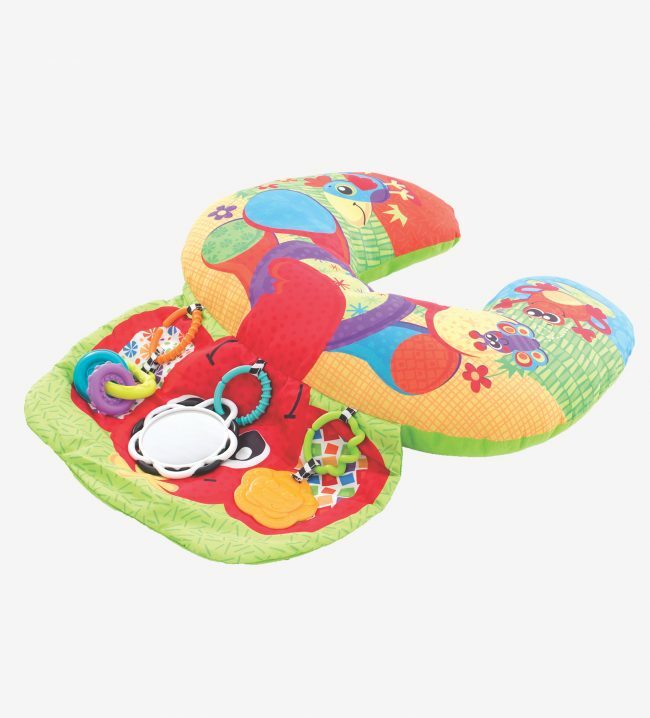 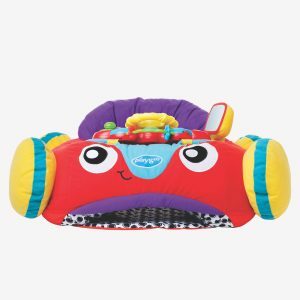 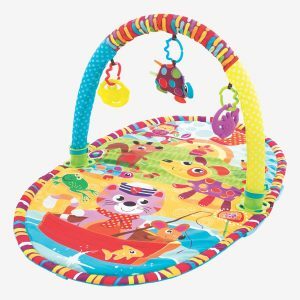 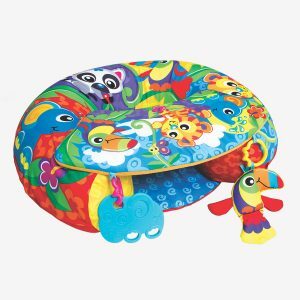 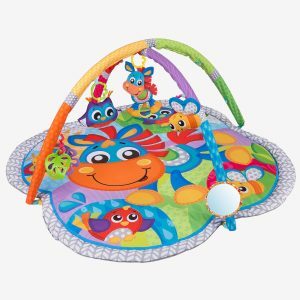 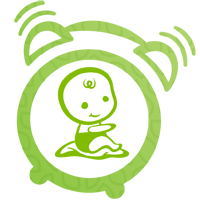 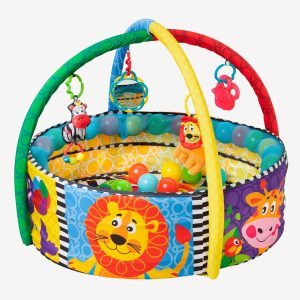 The colourful Playtime Tummy Time Wedge encourages baby to enjoy tummy time with a soft padded u-shaped pillow to support baby. 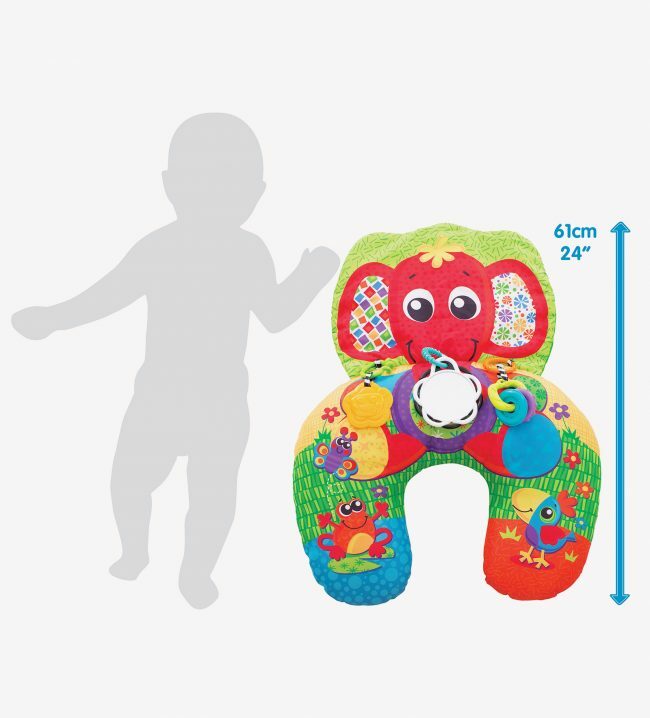 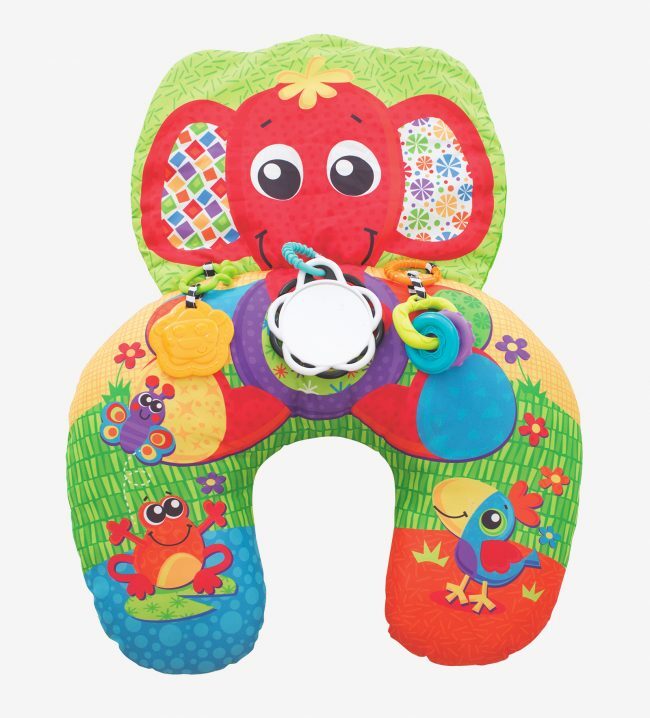 Elephant’s head acts as a soft mat for detachable toys to dangle onto & baby to gaze at stimulating visual perception. 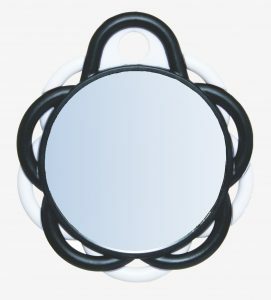 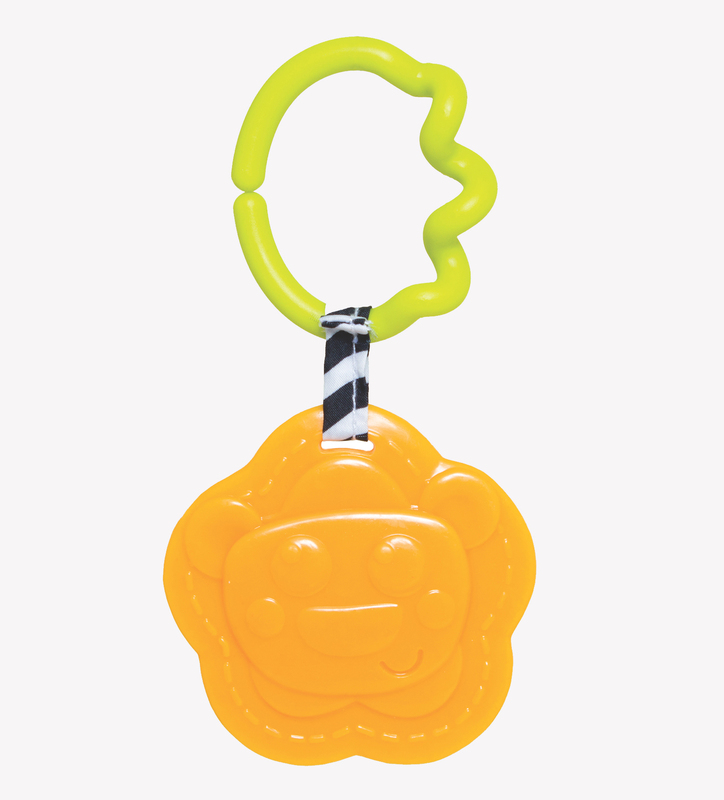 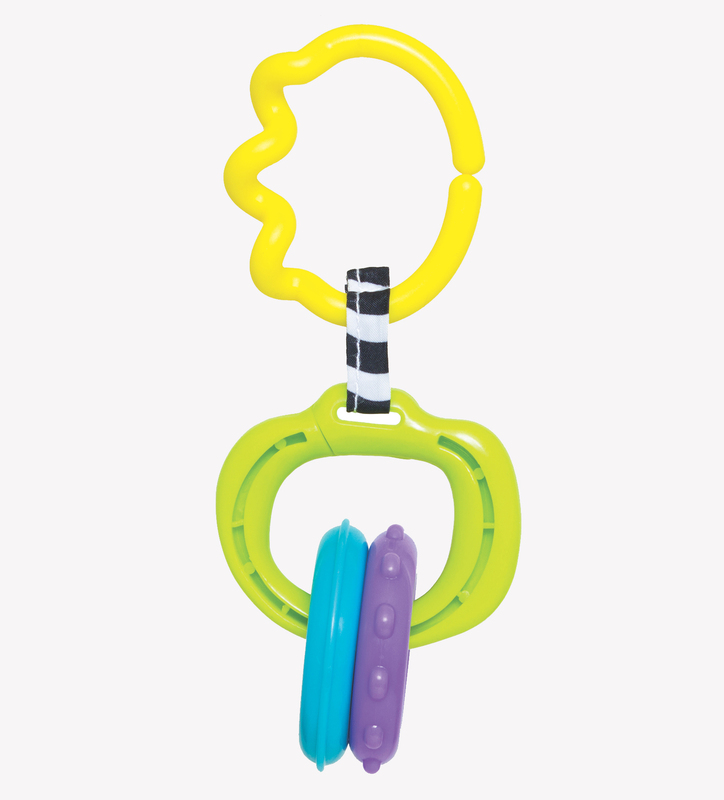 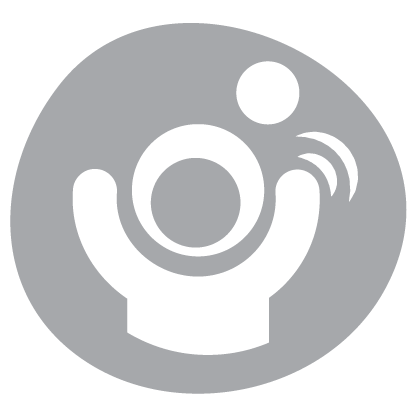 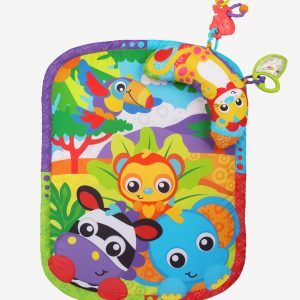 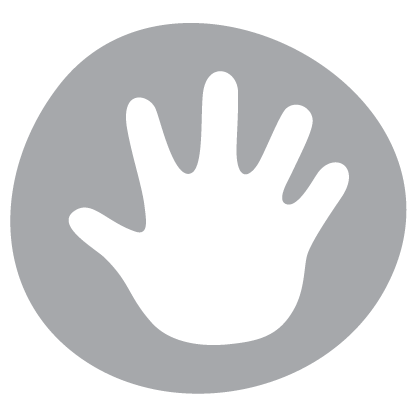 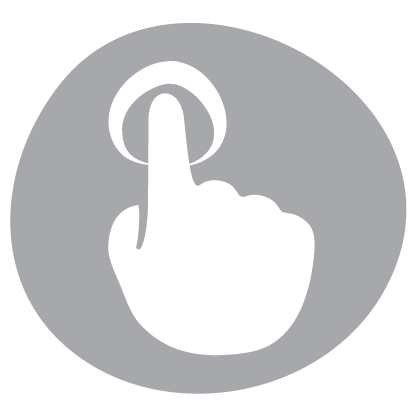 Tactile development is explored with baby reaching for the detachable toys: click-clack rings, mirror and a textured teether.